Made with very high grade Best badger hair this is a traditionally sized shaving brush with a classically shaped handle. Nothing lathers up shaving creams or soaps better than a quality shaving brush like this one. For best results, whip up a rich, creamy lather in a bowl and paint the lather onto the face and neck. This quality shaving brush comes with a free, free standing or wall mounted drip stand. Perfect dimensions, traditionally shaped and a great price. The handy plastic drip stand can be used free standing or you can stick it on a wall using the supplied stick on pad. The drip stand will ensure that your brush is aerated properly which will prolong its life. Wet the brush in warm water, flick off excess water. Gently swirl the brush in shaving cream or soap and create a rich, creamy lather. Paint the lather onto your bearded area. Don't splay the brush hairs. Once finished, rinse the brush under running water, flick excess water off, gently dab dry with a towel and store the brush upside down on the stand where air can circulate around the brush. Never use hot water on the brush. Hot water will damage the hair and can lead to the hair expanding and splitting the handle. 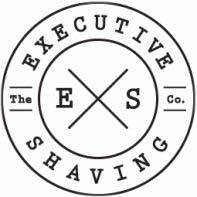 Read this article on shaving brush care. One of the most popular brushes we stock. Unbelievable value for money, fantastic quality and a good size too, this brush will last for many years if cared for properly. Click here to browse our complete collection of shaving brushes. High grade 'Best Badger Hair', acrylic handle.